as your Okotoks Family Dentist! 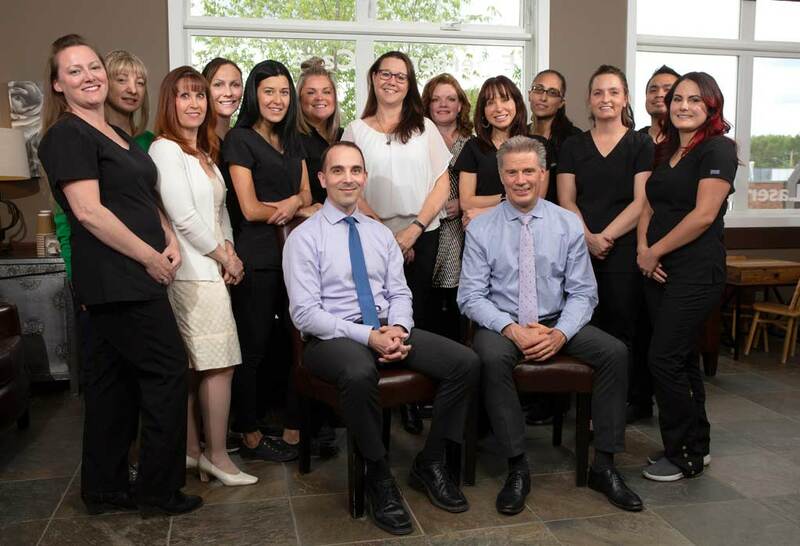 At Absolute Dentistry, as an Okotoks Family Dental Clinic we are pleased to offer you and your family a full range of General Dental, Children’s Dentistry, Cosmetic Dentistry, and Emergency Dentistry services. Some Reasons to Choose Absolute Dentistry as your Okotoks Dentist! Comprehensive Dental Services for All Ages! Our Dentists Have Over 35 Years of Combined Experience! Located in the Heart of Okotoks on McRae Street! If you or a loved one is anxious about visiting the dentist, we have several options for you to choose from that can help alleviate those fears, such as NuCalm and Sedation (Sleep Dentistry). With these options, we want to encourage you to get the dental care you need. We are pleased to offer our patients digital x-rays (with up to 90% less radiation) as well as services such as Invisible Braces (Invisalign). To ensure the health of your family, we also offer Velscope pre-cancer screening to all our patients. At Absolute Dentistry we combine our passion for dentistry with a welcoming environment, so that each visit will be as relaxing and painless as possible. Whether you need hygiene-periodontal teeth cleaning, a dental crown or a porcelain veneer, you will receive our full individualized care and personalized attention. At Absolute Dentistry we are very respectful that the time of both you and your family is precious – we always strive to run on time to best accommodate you! We recognize that your smile is part of “who you are” …. and therefore your most important asset. We have an obsession with helping our clients and their families become healthy by maximizing their smile potential. We acknowledge that the process of taking care of your health and creating your smile is of equal importance. We will use Modern Dentistry with gentle dental care. Our own expectations of ourselves are that we will always exceed YOUR expectations. by allowing us the pleasure of discovering your unrealized smile potential! Our dental practice always welcomes new patients no referral is required! Dr. Wesley Arbuckle & Dr. James Stobbe are Okotoks General Dentists. They are not specialists in Cosmetic Dentistry, Family Dentistry or Orthodontics. Cosmetic Dentistry & Family Dentistry are not specialties recognized by the Alberta Dental Association & College (ADA&C). As general dentists, they provide cosmetic dental procedures such as porcelain veneers, dental crowns, dental braces, and teeth whitening as part of his General Dentistry license. As an Okotoks Family Dentist, they provide General Dental procedures for all ages within the family.